Oppo launches Realme sub-brand in India with a motto to capture low-range and mid-range smartphone market. Recently, Oppo launches Realme 1 smartphone to battle head to head with Redmi 5, Asus Zenfone Max Pro M1, Redmi Note 5 and more. Oppo Realme 1 is highlighted because of its beautiful design and 18:9 near borderless display which comes in 2 variants that is 3 GB RAM + 32 GB ROM for price 8,999, and 6 GB RAM + 128 GB ROM for price 13,999. Today, we are going to cover Oppo’s Realme 1 Pros and Cons which will help you to decide whether you have to buy this smartphone or not. Along with it, you will also come to know whether this phone is better than its competitor in this price range or not. Like the Oppo Realme 1? Buy now! This phone comes with 8 MP front camera which is claimed to be an AI-based selfie camera. Its selfie camera automatically recognizes the person’s age, skin tone, skin type, and gender, and optimizes image settings accordingly. In the outdoor and artificial lighting condition, this phone performs well. Also, the bokeh effect with front camera is on an average. If you a selfie lover and your budget lie in this range then Redmi Note 5 Pro is the best option. Recommended for Selfie Lover- Top 5 Best Selfie Sticks in India- 2018 [Expert Pick]. It comes with 13 MP Rear camera features an AI-based scene recognition due to which it recognizes object and scene in real time. It’s working is not that great but yes for the price, it is very good. In the Outdoor lighting condition, the captured picture was above average. Oppo implemented AR sticker which works decently and was fun to play with it. Moreover, Oppo can’t compete here with iPhone X. It comes with 6-inch full-HD+ (1080×2160 pixels) display with an aspect ratio of 18:9 which produces vibrant and sharp color. Little-bit the viewing angle was disappointing but other than that everything was good here. It comes with stunning design and thanks to its fiberglass body with a glossy diamond-cut effect on the back. If you see the smartphone from the different angle, it will shine and will attract anybody attention. Thus, it is the most positive thing we like in a smartphone. The size of the smartphone is the plus point here. It comes with 84.75 % screen-to-body ratio which makes it compact and easy to hold in hand. Also, the dimension of the Realme 1 and Oppo F7 is exactly the same. In spite of being light in weight, the company didn’t comprise in the build quality. Realme 1 comes with a sturdy body. This phone comes with a dedicated sim slot. Thus, you can use two Nano-SIMs and a microSD card together. Also, if you are facing a problem with Hybrid sim slot on your older phone, then check out Solution for it- Use Dual Sim + microSD together, No more Hybrid Sim Slot Problem. Face unlocking works well for most of the time. The processor used here is 12mm MediTek Helio P60 which is best for this price range. In performance wise, Realme 1 defeats Redmi note 5 pro and Asus Zenfone Max Pro M1. Comes with Latest Android Version that is Android Oreo. Also, it has built-in Google Assistant which we love to use. Recommended for you – Experience Google Assistance to Awesome level with 100+ Ok Google Commands. Realme 1 comes with dual Wi-Fi band support. Thus, you can connect to 2.4 as well as 5.0 GHz network. In day to day multitasking, this phone shines like a star. Heavy gaming(Asphalt 8) experience is very good on this device. There was no Heating issue with this phone while heavy multitasking or gaming. In term of battery performance, this phone manages the whole day on moderate usage. But, if the battery is your priority then either you choose Asus Zenfone Max Pro M1(5000 mah) or go for a power bank. Recommended for you- Top 5 Best 20000 mAh Power banks in India- 2018 [Expert Pick]. In term of pricing, this phone offers very good value and especially, the base-variant offers excellent value for your money. The Rear Camera doesn’t perform well in the low-lighting condition and also, the dynamic range was not upto the mark whereas the Front camera seems to struggle in the low-lighting condition. Some time pictures with an AI-powered camera(both rear & front) were artificial. The fingerprint sensor is missing. People who get used to it will feel absurd. The company didn’t say anything about Screen protection used on the display. The company didn’t use USB Type-C with this device. Thus, lacks Fast charging. Face unlock didn’t work in the direct sunlight and in low-lighting condition. There was no earphone along with the smartphone. Recommended for you- Top 5 Best Earphones under 500 Rs in India- 2018 and Top 10 Best Earphones under 1000 Rs in India- 2018. Color OS is not that optimized as MIUI or Oxygen OS. So, this was the advantages and disadvantages of Realme 1, let’s head toward the final thought. 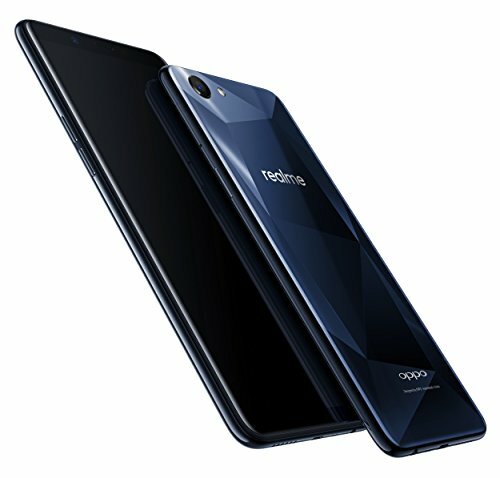 Oppo Realme 1 features unique stunning design, great performance, good battery life, good display, a dedicated microSD card slot, and good form factor. Apart from these, this phone lacks in some fields. Importantly, the phone comes with the average camera which only stops it from becoming the best smartphone under 1000 rupees in India. We hope you like our post “Oppo Realme 1 Pros and Cons” and for any doubt feel free to ask via comment. I visit your site for know good mobiles. I want to buy a mobile which suitable for my studies. So please advice for it. Please advice is it correct or not…. Since you are a cse student. The things you need most are the processor, RAM, ROM, battery, sensor support, camera. It is a good phone for study, but Asus Zenfone Max Pro M1 and Redmi Note 5 Pro too offers excellent value. In term of Processor, other two phone are very good whereas realme 1 is little behind of it. In term of RAM and ROM, realme 1 offers excellent value. In sensor support, all three are equivalent. In Camera, RN 5 Pro get leads of both. So, if RAM, ROM is your priority then only go for Oppo Realme 1. And practically, 4GB & 64 GB will do your job perfectly. first THANK YOU for good response and nice suggestion . sir i prefer 6GB,128GB so may i know is the mobile access folders speed or not. Battery Backup while using the Internet for a long time is average here. In this price range, the best processor is Snapdragon 636 that you will find in Redmi Note 5 Pro and Asus Zenfone Max Pro M1(Check our post on it). Mobile access folder speed is same as other new phones only one thing is different here that is the RAM management which is good. Didn’t get your last question, could you explain more or send the link from where you get this information. Even, we didn’t know about this drawback. Check our post on Redmi Note 5 Pro and Asus Zenfone Max Pro M1. compare three mobiles realme is good for me i thought for my price. finally i ask one thing , oppo is china set mobile. so please suggest about it…..
and i want back case for it…that is too different around me…and power bank , head set in low price and good quality…. this is my lost question. No nothing bad but one thing keep in mind Oppo’s sale after service is not as Good as Samsung, Asus. For earphine- Best earphone under 500 and for Powerbank- Best 20000 mah Powerbank and Best 10000 mah Powerbank. Also, We are always Happy to Help. Thanks for visiting topbestof. Actually, we did the review on the 6GB variant. But as per as your request, we went through 3GB variant. Sorry to say, Oppo Realme 1 3GB variant is facing the RAM Management problem and not the 6GB variant. This is because 3 GB RAM variant uses the LPDDR3 memory, whereas the 6 GB RAM model comes with LPDDR4 memory. Also, the Large number of the people wrote the same problem on the Amazon. But wait, If you going to buy this smartphone then we bring a solution for you. Check out this video for solution- Oppo Realme 1- RAM Management Problem Solved. I just want to buy a new phone.. But I have too much confusion in 3 phones.. Oppo Real me, MI note 5 and MI note 5 pro..
Redmi Note 5 Pro is the best phone and you will not regret after buying this phone. Happy to help always. Well this is what i was looking in the review . So i was waiting for more reviews and found out this article which i think is a great and honest review on this product and waiting for more reviews on latest updates. So thank you so much for the reviews. I went through your review on the post, and found it to be really informative and unbiased. I feel that this review of yours would help the prospective buyers and avid gamers in deciding whether to buy this one or not. Glad i found your post..!!! 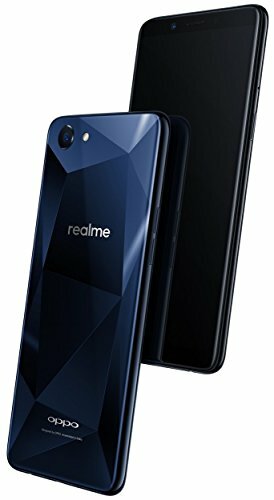 I was going to buy Realme 2 vs Realme 1 and went through your review. it really helped me . Thank you so much.